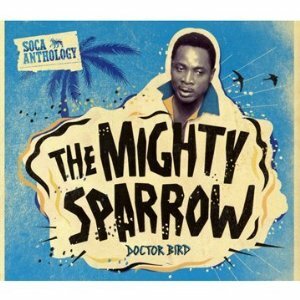 DOCTOR BIRD, The entertainer whose body of work is compiled onto this 2-CD and DVD album is incontestably renowned as the quintessential Calypso King of the World, the Mighty Sparrow. The greatly talented Grenadian born artiste was honored in Nigeria in 1977 with the title of Chief Omo Wale of Ikoyi and later with a doctorate by the University of the West Indies.Born, Slinger Francisco, the Mighty Sparrow is the most celebrated calypsonian in the World today. Dr Sparrow has won 8 National Calypso titles,8 Road March Monarch titles, 2 Calypso 'King of Kings' titles and numerous trophies and awards from various countries around the world. There are a total of 30 songs, 15 on each CD disc.